Walter, Charles, Richards, Edward, P., “Research Misconduct: Catching the Desperados and Restraining the Zealots,” 13 IEEE Engineering in Medicine and Biology Magazine #1, Feb/Mar issue, pg. 142. American Society for Microbiology, “Proposed Federal Policy on Research Misconduct To Protect the Integrity of the Research Record,” American Society for Microbiology, Dec. 2, 1999. Youngner, Julius, “Promoting Research Integrity at the American Society for Microbiology,” Address, Representing The American Society for Microbiology, Apr. 10, 2000. 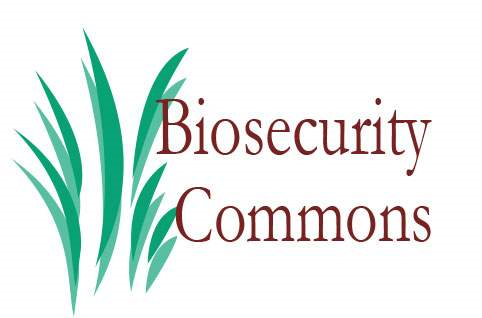 Kwik, Gigi; Fitzgerald, Joe; Inglesby, Thomas V.; O’Toole, Tara, “Biosecurity: Responsible Stewardship of Bioscience in an Age of Catastrophic Terrorism.” Biosecurity and Bioterrorism Volume 1 Number 1, November 1, 2003. Department of Health and Human Services, “42 CFR Parts 50 and 93, Public Health Policies on Research Misconduct; Proposed Rule,” Federal Register, April 16, 2004, Vol.69, No. 74. Shenk, Thomas, “ASM Comments on Public Health Service Policies on Research Misconduct,” American Society for Microbiology, June 15, 2004. Ricks, Delthia, “Reseacher’s Ties Faulted,” Newsday Long Island, July 10, 2004, A2. Afrasiabi, Kaveh, L., “Iran Sanctions Hit the Wrong Target,” Asia Times, Jan. 25, 2008. http://www.atimes.com/atimes/Middle_East/JA25Ak03.html Last checked Oct. 18, 2009. Carey, Benedict, “Researchers Find Bias In Drug Trial Reporting,” New York Times, January 17, 2008, A18. Hakim, D., Peters, J.W. “Scientist for State Police Kills Himself,” The New York Times, May 24, 2008. Broder, John M. “Researcher steps down over e-mails; Climatologist leaves post while ‘criminal breach’ of computers is investigated,” The International Herald Tribune, newspaper December 3, 2009. Fanelli, Danielle, “How Many Scientists Fabricate and Falsify Research? A Systematic Review and Meta-Analysis of Survey Data,” Journal: PLoS ONE, May 29, 2009. Pollack, Andrew, “Biotech Company Fires Chief and Others Over Handling of Data,” NYT, Sept. 29, 2009, B2. ”Recommendation” 5: The appeals process for Security Risk Assessments should be broadened beyond mere checks for factual errors. ”Recommendation” 7: Dedicated funding should support an independent evaluation of the Select agent Program to assess benefits and consequences of the program. ”Recommendation” 9: A separate category of support should be allocated for BSAT research due to the costs of security. Harris, Gardiner, “Dissidents at F.D.A. Complain of Inquiry,” The New York Times, newspaper January 28, 2009. Overbye, Dennis, “French Investigate Scientist In Formal Terrorism Inquiry,” NYT, A13, Oct. 14, 2009. Wilson, Duff, “Research Uproar at a Cancer Clinic: Errors at Illinois Center May Signal Failings at Similar Hospitals,” B1 & B7, NYT, Oct. 23, 2009. Madigan, Nick, “Ex-UM Researcher Whose Fiancee Died is Indicted,” Baltimore Sun, 5, Oct. 27, 2009. Normile, Dennise, “Hwang Convicted But Dodges Jail; Stem Cell Research Has Moved On,” Science Magazine, Vol. 326. no. 5953, pp. 650 – 651. October 30, 2009. Clavert, Scott, “Researcher did not die of overdose autopsy says: Allergic reaction, not bupe, killed UM pharmacologist,” Baltimore Sun, P. 1, Nov. 13, 2009.